The Hindu festival of lights known as Diwali is the largest—and I would argue the most enjoyable—of all the South Asian holidays. 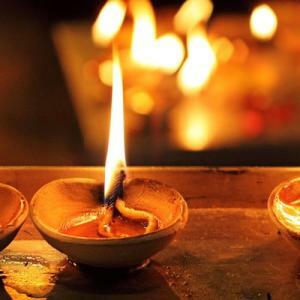 The day of Diwali signifies the victory of light over darkness, good over evil, and kicks off with a lighting of a candle, often called a “diya.” It is celebrated in India, Nepal, Sri Lanka, Malaysia, Fiji, as well as by the large South Asian diaspora across the world, including Columbus. According to the most recent census, there are an estimated 24,000 families of Indian origin in Columbus and the Indian community has grown here by 80% since 2000. In 2015, an Indian American doctor named Amit Majmudar was named Ohio’s first poet laureate. This year Diwali festival falls on October 19. Columbus has a ton of options to celebrate Diwali, from South Asian dance parties to religious observations. Diwali celebrations are open to all, regardless of your religious or ethnic background. For those more inclined to religious observances, a great place to start is The International Society for Krishna Consciousness, a group dedicated to celebrating the Hindu god Krishna. The group just purchased 53 acres in Hilliard, Ohio for their new temple and they will be having a Diwali celebration dinner/fundraiser on October 27. For more, see here. 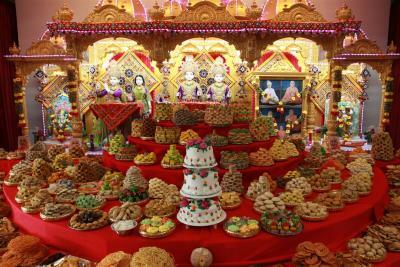 Another great option is BAPS, which is devoted to the Swaminarayan branch of Hinduism. They hold a large and festive Diwali celebration at the end of October, which they will on their website here. Both of these religious gatherings offer some of the tastiest vegetarian food you will ever have in your life. In fact, there are so many Diwali celebrations in Columbus that you can actually check out how the various regions of South Asia celebrate Diwali in their own distinctive way. The Nepalese-Bhutanese community, which is currently being celebrated with a photo exhibit at the Ohio History Center, is one of this city’s fastest growing groups. They will be observing Diwali on October 8 from 2 p.m. to 4 p.m. More information can be found here. One of the largest communities in Columbus is the Gujarati community, a region in western India that my family hails from (it is also the birthplace of Mahatma Gandhi). 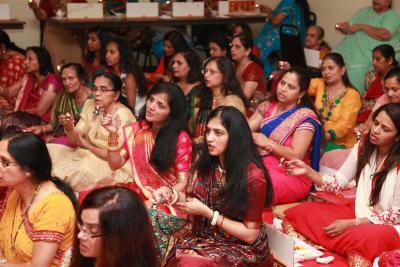 The Gujarati Mandal of Columbus holds its Diwali party usually in mid-November. More info can be found here. For a taste of South India, the Telugu Association of Central Ohio hosts various cultural activities, as well as sports tournaments, and more info about their upcoming events can be found here. Sindhi—a linguistic and ethnic community found mostly today in western India, as well as in Pakistan—typically holds a Diwali celebration in mid-November. For more information, check out the Sindhi Association of Central Ohio. The Columbus Maharashtra Mandal seeks to promote the Marathi language and culture, a state in India that is home to the country’s financial capital of Mumbai. Their Diwali celebration will occur on November 4, 2017 at 10:00am at the Dublin Community Recreation Center. For more, see here. And of course, there are tons of food places to celebrate Diwali. 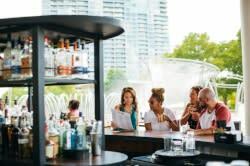 While restaurants traditionally do not alter their menus, many do offer specials. I recommend checking out your favorite Indian restaurant around the middle of October. Surely someone at a table near you will be lighting a candle and celebrating this festival. Zahir Janmohamed is the News Editor of Hyphen Magazine and the co-host of Racist Sandwich, a podcast about food, race, gender, and class. He previously worked in the US Congress and at Amnesty International.